Creates a directional light remapped with camera facing ratio so that it will act as a rim light. 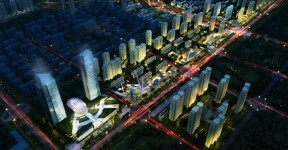 It adds three attributes to the directionalLight shape to control it. You can also manually edit the remap value node. Now works with mental ray. This script calculates the altitude and azimuth for the sun for any given date, time and location. It can automatically rotate a directional light for you. It can also be used to create animations of the solar transit. Switch to turn the Physical Sun and Sky into its night settings including a moon. A useful little script for using GammaCorrection on File Nodes. this script will grap all objects in the view port then do a quick render you’ll got a rendered-image of the current frame. and ofcourse your scene doen’t change anything. This tool creates a new render layer with the selected objects and assigns them a Toon Outline with some specific attribute values. 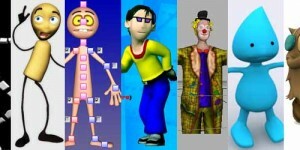 It also sets the renderer of this new layer to be the Maya Software because of its compatibility to render Toon Shaders. 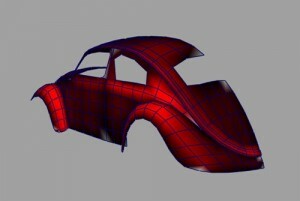 This allows the user to “render the wireframes” ofthe selected objects. 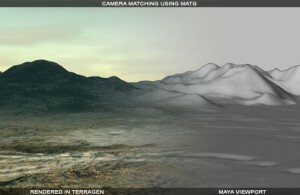 The material information of the scene is not lost because a layer containing all objects in the scene is also created before the wireframe layer. 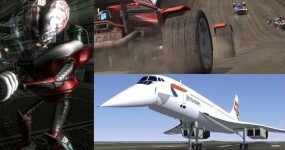 Fxfx Maya Real Studio 2 is a useful Mel Script to create realistic scenes in just few clicks. You can render your model as realistic render in seconds. This is a collections of scripts and bitmaps that are used to create presets for the mia_material_x and mia_material_x_passes. 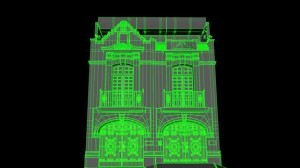 This is an effort to give Maya a similar capability to the 3ds Max “Arch & Design” material presets. I did not have permission to use the bitmaps that came with the 3ds Max Arch & Design presets so I am supplying my own textures. But if you have access to the other bitmaps then its pretty easy to edit my scripts to use them instead. 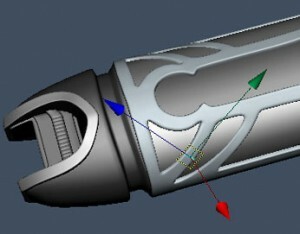 Quickly creates NURBS tubes on the selected NURBS curves (with construction history, but with no intermediate objects). Simple select your camera, turn on the shake attr and shake overscan attr and start playing with some values. The script can be used in combination with ALT or CTRL or CTRL + SHIFT too, All values of existing view camera are copied to new camera and the old camera moves back to show new camera. The Shot Mask script allows users to quickly and easily create a shot mask and frame counter for any camera in the scene. 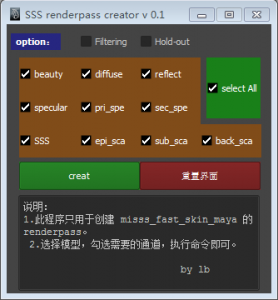 The powerful GUI interface provides an interactive approach for creating shot masks while the extensive class methods allow for custom generation through scripting. Turns any object into a water surface. Works best when objects are in a realistic scale. 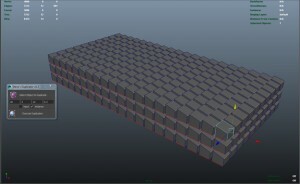 The complexity of the object will be dependent on the subdivision before the effects are applied. The tool can quickly attach a water texture and simulate a fake (and fast rendering) light refraction and reflections caustics. ZV Dynamics is a little useful script for making cool dynamic effects! It adds a nice inertial behavior to any transform node in your scene. This is a script that generates sprite based snow in any Maya scene. 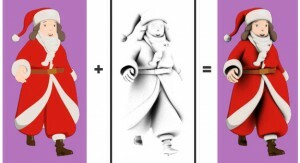 The user can then modify the snow however they see fit changing it’s appearance and behavior. The snow is all expression driven so no fields are involved. Don’t hesitate to add fields and mix things up a bit! Have fun adding to your scenes! This is a very simple script which i use to create fast hair style in Shave and Hair CUt. 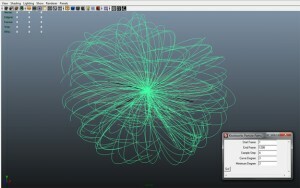 This script creates curves starting from the selected surfaces with controlled CV point distribution. The curves, that are generated following the normal direction of the surface, can be used to create a hair system. 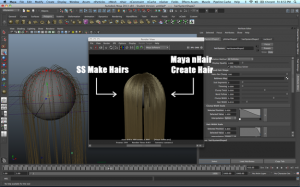 Brillstudio Presents, A an handy tool to help managing caching of Hair systems in maya. 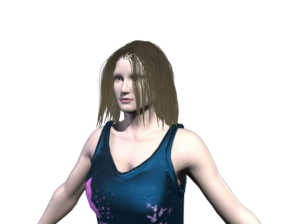 It enables you to set rest frames before your animation and cache your Hairsystem as well as go back to your initial start positions with ease, hide hair systems.make multiple ones passive , refelect states etc. 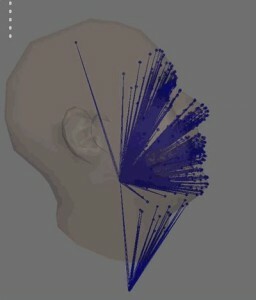 This script gives you a possibility to control dynamic Attractors with Hair curves instead of Soft Body. This works rapidly and gives you a more control over the system, instead controlling each attractor separately. Hair Script which Does the Styling of Hair in your Scene. 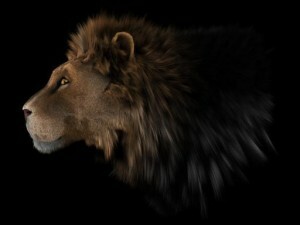 Convert a shave and hair cut hair file to renderman rib. 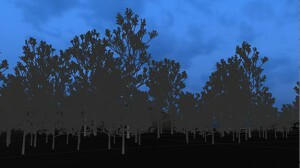 This script prepares a scene for a realistic simulation of falling tree-leaves. You can also make them blow in the wind, or collide with the ground or other objects, etc. The simulation itself is done with nCloth. The idea is to have one or several leaf models, and their corresponding low-res models (sub-divided and shaped planes, basically). This script automates the dynamic chain rig in maya. Play Labyrinth right in your Maya 3D viewport! This python script is a logic puzzle game for Maya (8.5 to 2011). Labyrinth uses the same logic rules as Picross/Hanjie. Version 1.0 contains 21 puzzles. I made this script for Doom 3 game development, because the engine only supports boned animation. This allows you to convert any mesh deformer (blend shapes, wrap deformers, etc) to an IK rig. If you’ve already got a skeleton, it’ll bind the new bones to the nearest joint. In general the GeoCleaner is a tool to eval and fix a polymesh – very handy for game-modeling. This script will import your Maya Render Layer Setup into After Effects! Writes a JSX with all render locations as placeHolders in AE or imports and updates Comps based on Render Globals in Maya. This script takes the selected edges, faces and objects and create a path and selection into your Photoshop opend document. Camera and Null Export to After Effects. This Script Bakes Camera and Object Positions to a compatible format that After Effects understands and imports. Maya to Mudbox Mel Script. 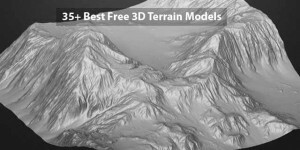 Maya-Terragen, animation data exchange Mel scripts. Use this script to import bezier paths from an SVG file into bezier curves in Maya. This script exports all desired objects in your Maya Scene into an OBJ-Sequence of files, so that you can load them with textures and shaders into your compositing tool (ex. Nuke). It exports Polygon and Nurbs Surfaces. 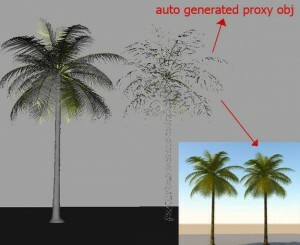 this script for automatic generation of mentalray proxy objects.. ala vray_for_maya createproxy command. all is automatically done..
Use this to place hundreds of objects on any given surface. It is possible to control the growth via the use of a colour map and constrain objects to camera’s. 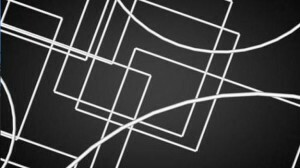 It is possible to place random dimensions to rotation and scale. This tool was designed to allow transformation of objects/components in various local axes. You can, for example, rotate around an edge or vertex normal/position, move in the plane of the face, scale to its normal, use other objects local space as a reference for the transformation, align pivot between two points/objects, etc. The tool automatically changes tool settings for move and rotate tool for it to work properly. On the tool finish it sets the tool settings back to what they were before. scatterObj is for distributing objects across any poly surface, this script is very easy to use and it help you scatter objects quickly. it uses the surface vertex to spread the objects on, so if you want more objects on the surface you need to increase its poly count and vice versa. This is a small script that matches the translation and rotation values of an object to another. Have fun. Quickly duplicate an object in to a nice tidy array. Awesome for setting up for dynamic simulators or anything really. rvInstancer is a MEL script that will generate instances based on black and white areas of geometry that are painted by the 3D texture tool inside Maya. The idea of this script always has been to keep the tool as simple as possible. With this tool you can create really fast the basic distribution of your elements in the window, defining size, color, command, etc…, and always with the possibility of testing the window during the process of creation. 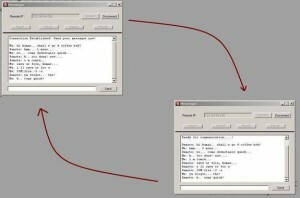 This script is to send and receive message from one maya to other maya across the Network. You can share text message just like chatting with the help of MAYA. No need to install any plugins. StockCG is the first Built-in online 3D stock exchange tool. An innovative idea that offers a Free Project manager and an global online assets market tool combined to one application for Autodesk Maya, StockCG is unlike anything else in this market. Its like working in a global studio, where everyone can share their assets with friends. This useful little script basically allows you to open a crash/saved file from within maya. Instead of going to the temp directory and gettin the file. This script facilitates the process. MEL script that sets the project by itself as soon as scene file is opened. If you use or used 3d Studio Max, you know its auto increment file saving feature is one of the most beautiful thing in Max. If you miss same feature, you can have it by adding a little mel script to your Maya. 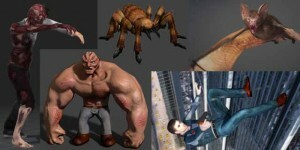 a free collection of useful Maya scripts and plug-ins. After installing Bonus Tools, an additional pull-down menu will be added to the end of the main Maya menu. This new menu provides easy access to a variety of tools and utilities for daily use. 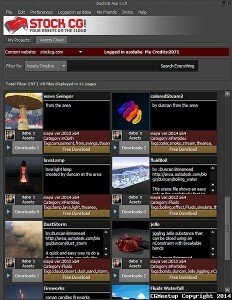 Maya Bonus Tools has been organized to mimic the layout of the standard Maya menu sets. Each sub-menu contains a number of related tools. Each of these can be torn off and floated just like standard Maya menus. autoTangent – Animation utility for nicely smoothing tangents but without overshoot. cometAttrEditor – Quick attribute utility to re-order attrs up or down in the channel box. cometMenu – Builds a menu for all of the scripts found here. cometMirrorMesh – Modeling util for polygon point mirroring, selecting, storing and more. 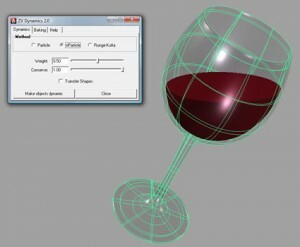 Good for blendshape creation. Requires my free PoseDeformer plugin as it uses one of the nodes. cometRename – Nice rename utility with complete Search/Replace, Prefix, Suffix and AutoNumbering. 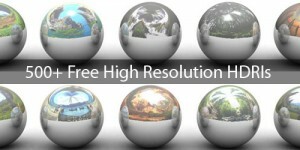 cometSaveWeights – Save and Reload skin weights by point order or point position. cometSkinWeight – A nice simple UI for setting weights without having to use the Component Editor. cometTransferWeights – Transfer skin weights from one or more joints onto another. libMirror – MEL Library routines for mirroring object transforms. libSkin – MEL Library routines for working with skinClusters. libString – MEL Library routines for working with strings. offsetConstraint – Lets you set up a Point or Orient contraint keeping offsets using an extra group. snaps – Basic snapping routines for snapping one object onto another. toggleAffected – Toggles the pink Maya display of affected nodes in the viewport. toggleIsolateSelect – Quick way to isolate select objects off and on in a viewport. toggleWireframeOnShaded – Toggles a viewports wireframe on shaded display. toggleXRay – Toggles a viewports XRay display. wireShape – Builds a number of custom control curve shapes. zeroOut – Zero out controls/transforms by inserting an extra group in the hierarchy. The OpenMaya Toolbox is a collection of useful tools which aims to provide new features, improvements and all-around enhancements for easier day to day use of Maya. You can click on each script in list and see video tutorial about it! FREE version is LIMITED to 500 runs of scripts. This script will create a window listing the most significant Maya utility nodes, such as the condition, the multiplyDivide and the setRange. This script will help you control the keyable and non-keyable attribues in your channel box as well as being able to lock and unlock them. This simple script let’s you select multiple influence objects and add them to your smooth skin instead of doing them one by one. 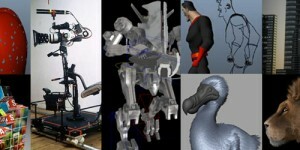 Automates many aspects of modeling and animation. the vast majority of which I continue to use on a daily basis. 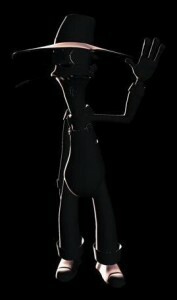 They are mostly character animation specific, and aim to fill in the nooks and crannies of what I find lacking in Maya. One of the largest collections of MEL-scripts for Maya, created primarily to solve real-world, game-development related challenges. 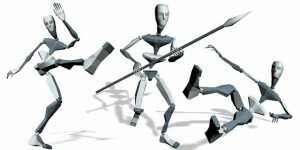 Bonus tools for Maya is required to use ZenTools. 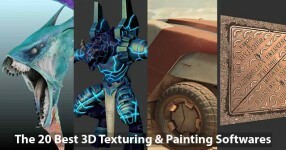 Animation, texturing, UV, pivot, baking, particle, etc. scripts. The SoulburnScripts For Maya is a collection of scripts that I’ve written for my personal artwork at home, as well as icons for use inside the maya interface, and now I offer them for free to whomever wants to give them a try. Many of the mel scripts here are modified versions of the ones installed with maya.